Dr. Gromko's true story begins with the implausible inheritance she receives from a former patient. Completely unexpected, the windfall jolts her life, which is already out of balance with the demands of her profession. She reshuffles her life's priorities and finally gives in to the need to seek a life partner once and for all. Browsing on the Internet, the Seattle doctor advertises "I'd like to meet a nice Democrat." She finds Steve, a businessman who is "gifted at banter, irreverently funny, and loyal as a beagle." Steve brings joy, but he also brings unforeseen complications into the doctor's life. For one thing, Steve has full custody of his nine-year-old daughter who greets the doctor with "I hate every centimeter of you - get used to it " Then, there is the more serious issue of Steve's health. Known to have diabetes and high blood pressure, Steve falls precipitously into the abyss of kidney failure. Without a kidney transplant or dialysis, Steve will die within one to two weeks. 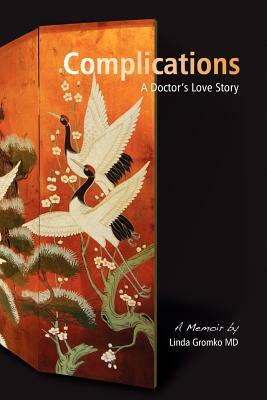 Written from a doctor's perspective, the book takes the reader on a tumultuous course of medical and personal trials, as Dr. Gromko exerts the most powerful advocacy of her life.